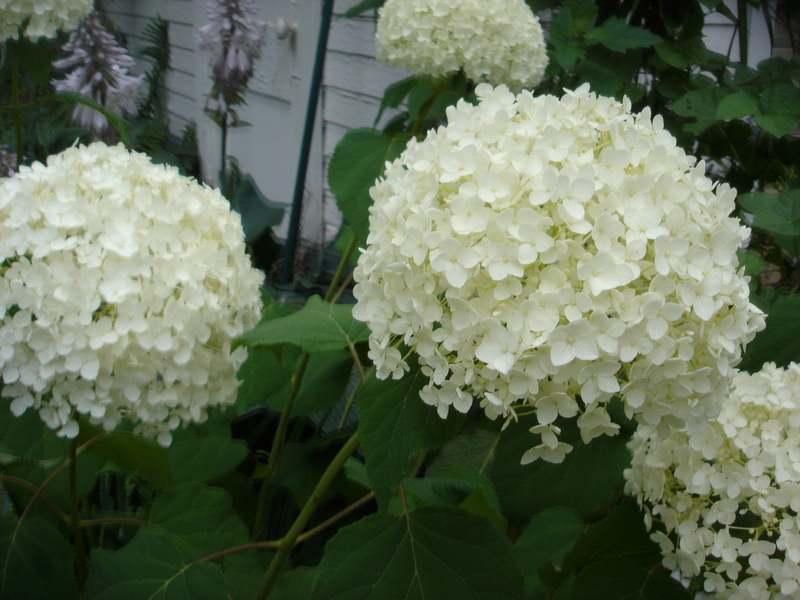 The Annabelle Hydrangea variety is my favorite because it produces beautiful cut flowers. It is also great in the garden as the whiteness of the flowers will light up your garden at night. It is super easy to grow and not fussy at all. It is the best of the hydrangeas for shade, but does great in full sun too. It becomes a no-maintenance shrub in several years, but looks as beautiful as perennials. You can buy Annabelle Hydrangeas at jungseed.com, Item #20532, $10.95 or 6 for $54.95. I also saw loads of larger healthy ones at Winterland Nursery, which is next-door to Seasonal Splendors in Oregon, Wisconsin. As I have written in previous blogs, Ed Lyon, the director of Allen Centennial Gardens, said at the recent Wisconsin Hardy Plant Society Meeting that this is the decade for the Hydrangea. So we will be seeing new and improved hydrangeas of all kinds exploding onto the market. But I must say, nothing can beat the Annabelle Hydrangea!